Does your favourite wine taste better in a bespoke wine glass? Did you know that there are over 140 different wine glass shapes and sizes, specifically designed for each wine variety, that are said to enhance the flavour of the wine they contain? For most of us, drinking wine from whatever wine glass is handy is usually good enough. Being able to taste a difference in the same wine just by drinking from a different glass sounds a bit far-fetched, right? Well no, apparently that’s wrong, but just how important is matching your wine with a dedicated glass? 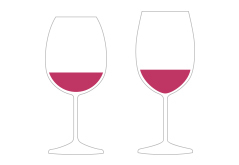 If buying unique wine glasses for the different types of wine you enjoy sounds all a bit too difficult, never fear, glass manufacturers have also recognised that the majority of us would just rather enjoy a nice glass of whatever we fancy without stressing over whether the glass is right shape. They’ve produced a generic option for both red and white wine which will suit most varietals. If your current glassware comprises a tulip shape with a wide bowl and narrow opening, you’re good to go! If not, nip down to your local glassware retailer, and then relegate the Ikea to picnics and parties. If you’re like us, enjoying a glass of wine at the end of the day or with a nice meal is a simple pleasure not needing too much fuss. White wine chilled, red wine room temperature, sparkling wine kept in the fridge with a spoon in the top to stop the bubbles from escaping. But most of us will probably have at least two if not three different types of wine glasses in our cupboard already. It’s almost a rite of passage when setting up house for the first time; going to Ikea and buying a set of each. But even recognising that these three are each different shapes and sizes, you might not have ever considered just why they vary. The temperature of the wine you serve is quite important, and the shape of the glass you serve it in affects that temperature. 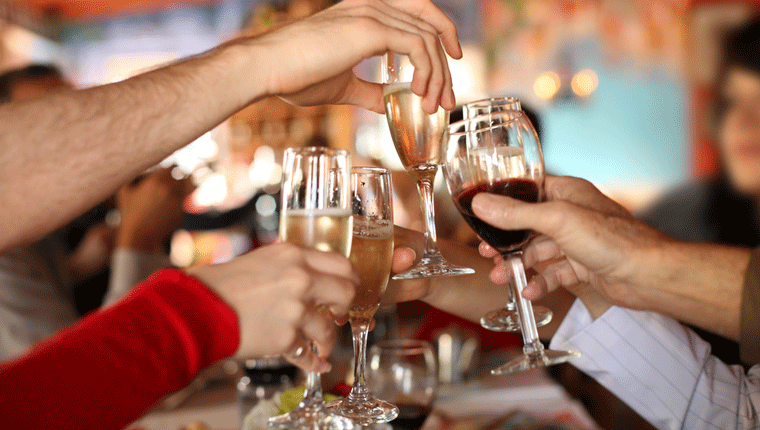 Wines are an aromatic drink, designed to be ‘tasted’ through the nose as much as the mouth. White wine is generally crafted to be drunk chilled. 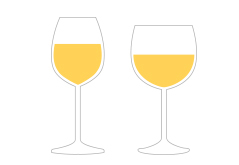 White wine glasses are therefore smaller than red, so their contents will not warm up too quickly (and that’s also why you should always hold your wine glass by the stem rather than the bowl). Reds, on the other hand, should be served at room temperature (or a bit cooler in the Australian climate) to allow their rich flavours to release. And because red wines are usually fruitier and spicier than their white counterparts, the type of glass used to contain the wine needs to capture and retain those complex aromas. Lighter reds, such as Pinot Noir and Tempranillo are better served in a pear-shaped wine glass with a narrower opening and a larger bowl to intensify the aromas. Heavier reds, such as Cabernet Sauvignon and Shiraz, benefit from a wider opening which lets more air get to the wine so as to release its flavours and soften the bitterness of the tannin. 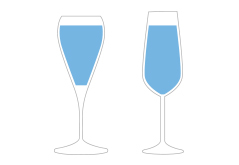 Champagne glasses are designed to be tall and narrow for two primary reasons, one practical – to capture the bubbles so it doesn’t go flat, and one aesthetic – to show off those same bubbles to best effect.